Since our church history road trip last summer, Emily and Nathan have really enjoyed playing pioneers. 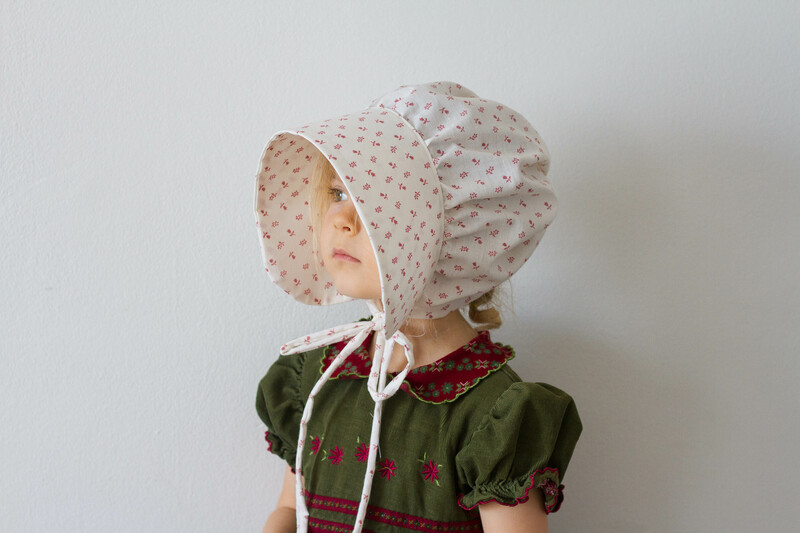 Emily wanted a bonnet to wear and I suggested that she make one. 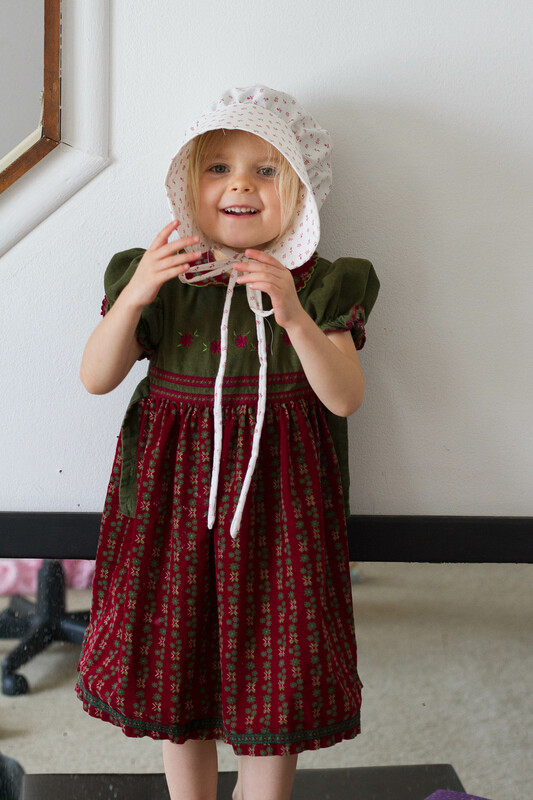 She picked out the fabric and worked through every step of this tutorial with me. Her favorite part was gathering the material and it was fun to watch her pull the thread and then slide then scrunch the material down. 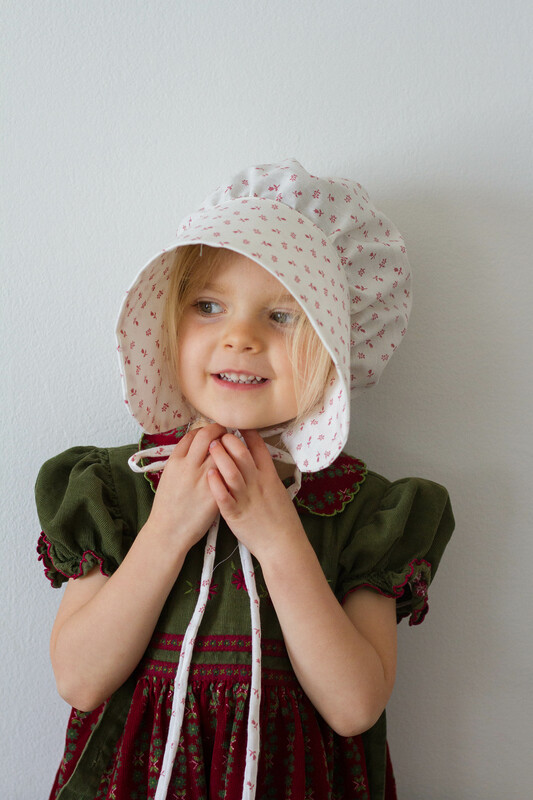 It turned out beautifully and I think we will probably make a few more bonnets and hopefully a boy hat for Nathan too. That little curl poping out of the bonnet ????!! 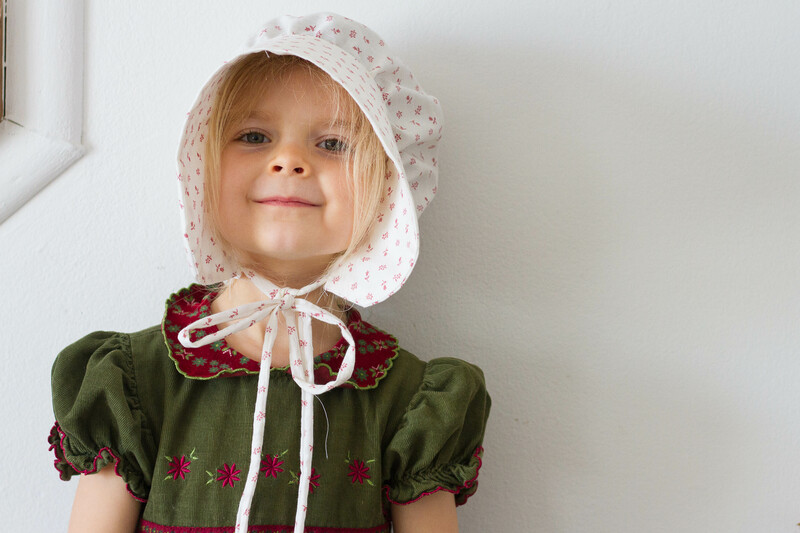 Have you read little house on the prairie with them? I think they would LOVE it!! 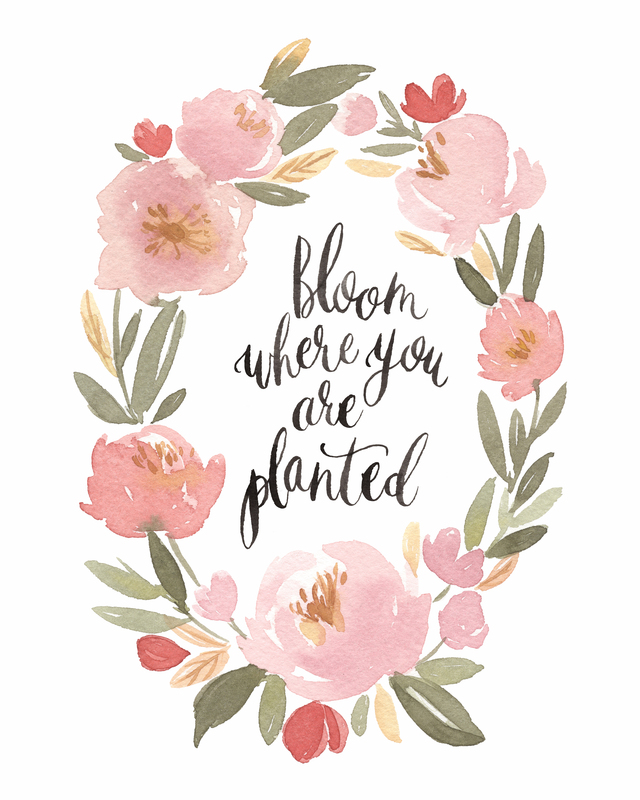 That is one of our favorites!